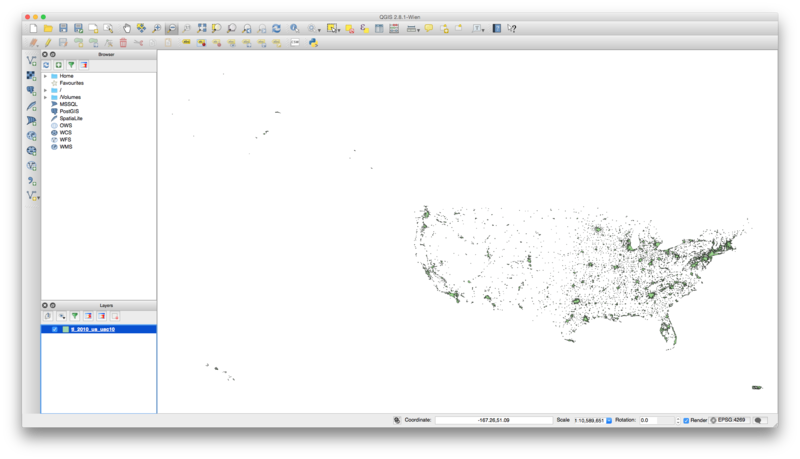 I know literally nothing about GIS, but I need to figure it out because I need to do some spatial querying. Specifically, I need to find all the Census Blocks that are in a given urban area. This is a I'm documenting it here for anyone else who needs to get into GIS and doesn't know where to start. 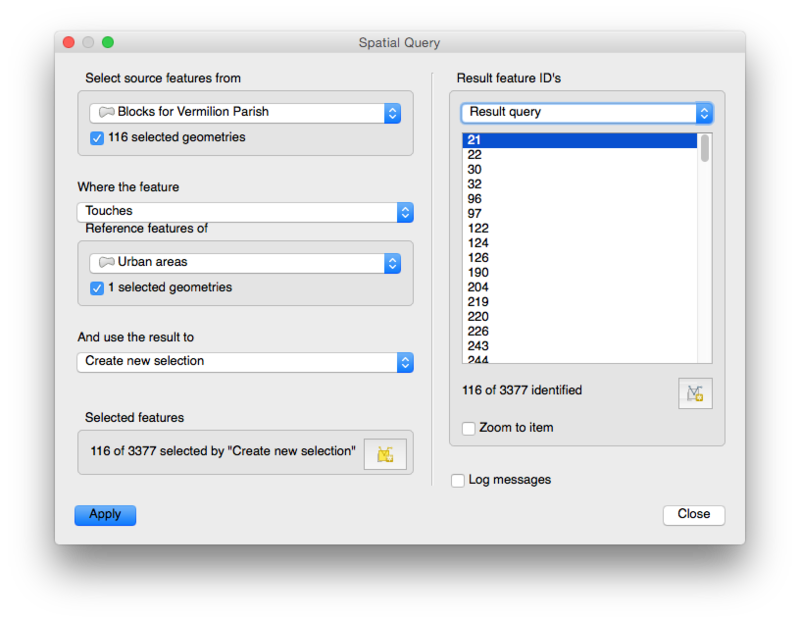 QGIS is the application of choice here. It's like open source ArcGIS. ArcGIS is the Microsoft Office of GIS. You need matplotlib from this page. 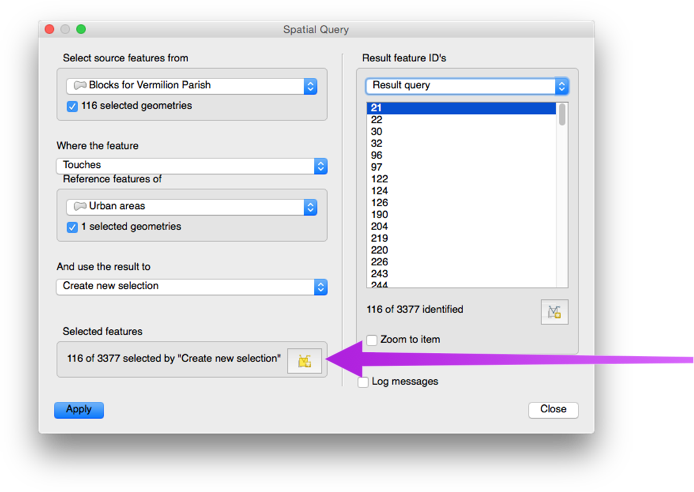 Download QGIS (open source ArcGIS). You need the GDAL and NumPy installer from this page as well. I want to look at Census Blocks in a specific urban area. For example, Abbeville, LA (UACE=00037) as defined here. This will hide all the other urban areas from the map. Go back in to the Query Builder and delete the query to get everything back. 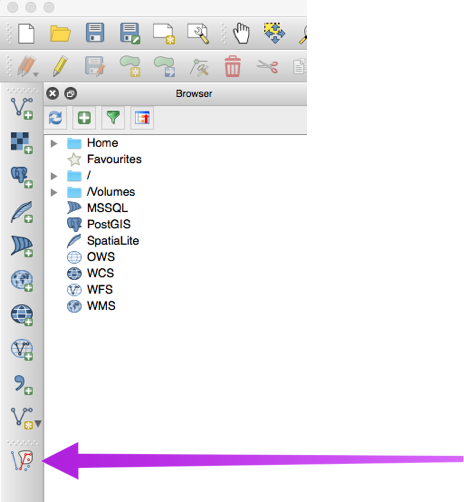 Select the urban area of interest using the "Select Features" toolbar button (yellow square with a mouse pointer). 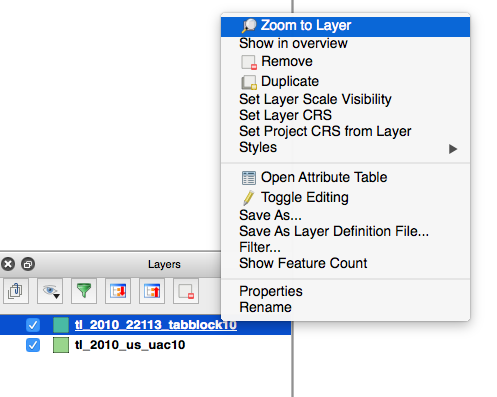 Then right click on that layer created from the spatial query, choose "Save As..." and save it as a CSV. 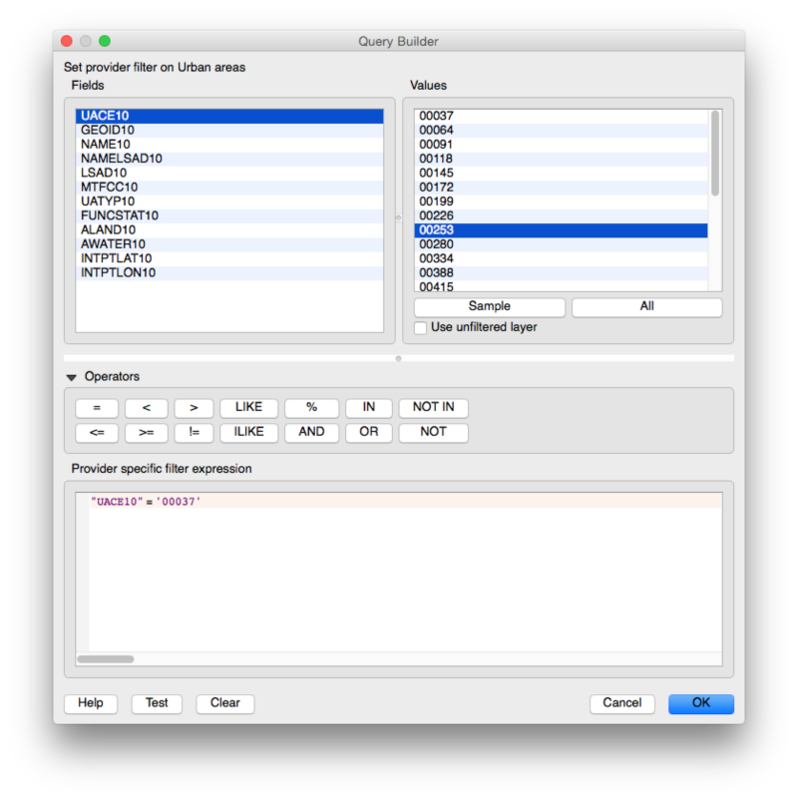 This will export the attribute table for the layer, which is essentially a list of all the Census Blocks in the specified urban area! Now, on to automating this for all the urban areas in the US.